Château Bouscaut, Grand Cru, is an estate in the Graves region that was originally established in the late 17th. century. This magnum carries the appellation of Graves although today it would fall within the smaller, and more recently accredited, appellation of Pessac-Leognan in the northern-most part of Graves. The vineyard is planted with 50% Merlot vines, a high proportion for left-bank estates, with 40% Cabernet Sauvignon and the remaining 10% being planted with Malbec which is also known as Côt locally. The soils here consist of gravel (hence the name Graves) mixed with limestone on clay sub-soils. 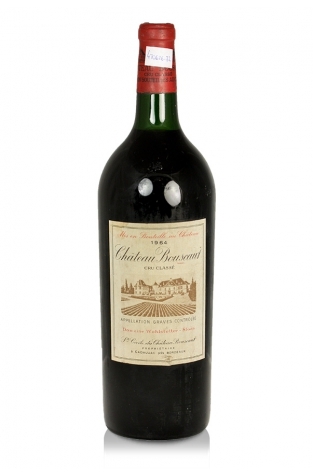 This well-aged magnum is likely to appeal to the lover of older red Bordeaux wines who will appreciate the subtle evolved palate and aromas.